Today Ondrej Vlach seen nice Lunar display in Prague, Czech. Halo, upper tangent arc and rare 9 column arcs. 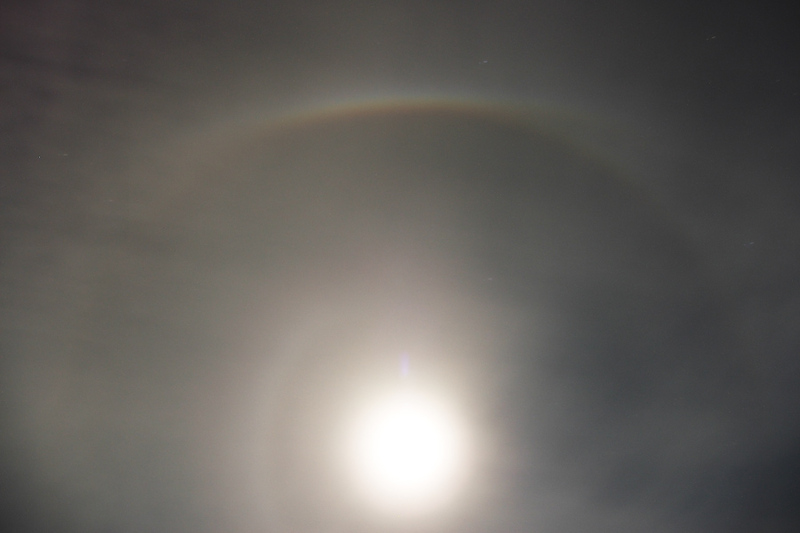 Ondrej say: "Left side of 9 halo was very bright and I was took some photos at 22:40 UT. I use Registax for photo stacking." Nice Lunar display, I saw a 9 deg. column arc in 2002 down in Florida but my camera was full of photos and inside the car.